Our body has the ability to heal itself and maintain a healthy state. Also, our body is designed so that systems work together to sustain symmetry and balance which in turn enables normal function of systems. There are many research findings which link biological fitness and balanced body structure. 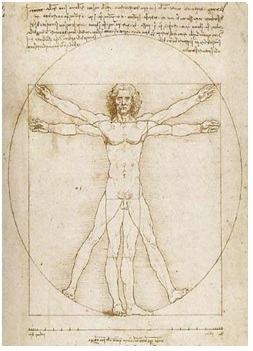 In essence, balance and control define a healthy body. It can be said that all our body systems are interlinked and abnormality in one system can lead to the failure of another. This is also the case for our structure and communication function; they are closely linked. 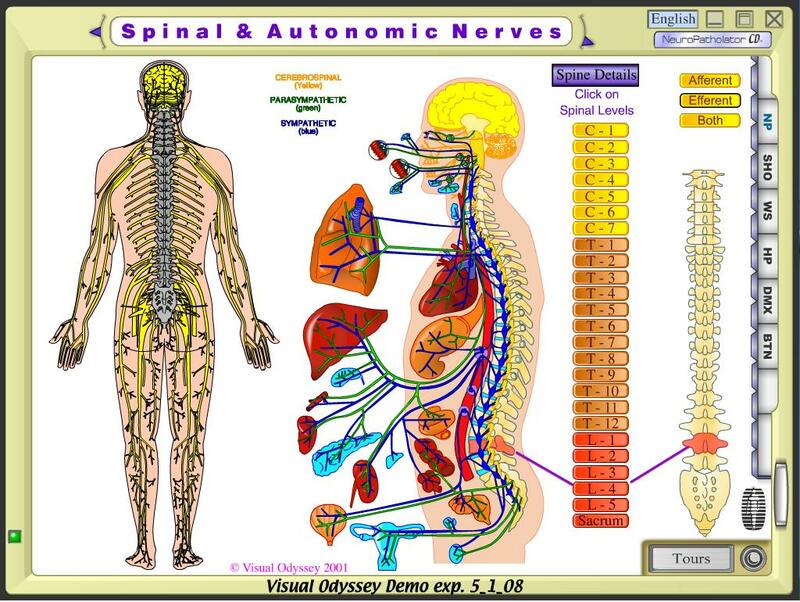 Below is a diagram of our spinal nervous system which shows how the spine, nerves, muscles and organs are connected. 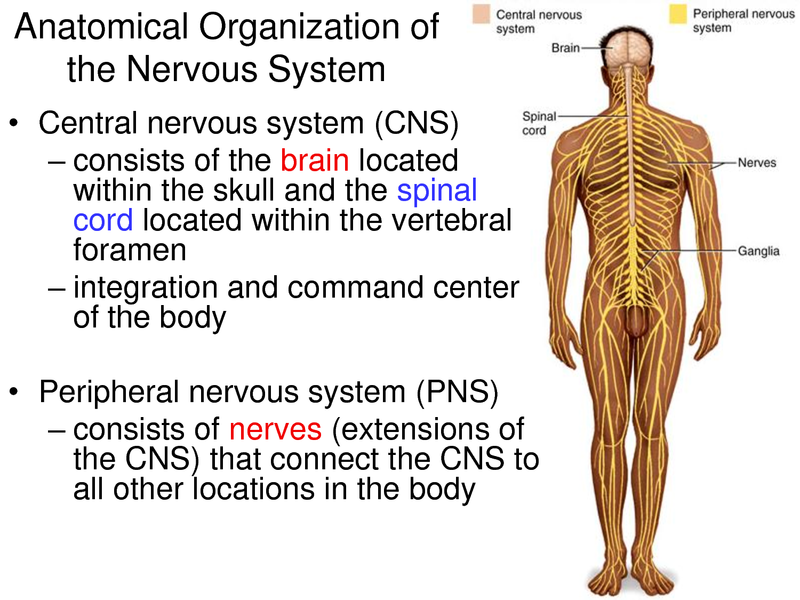 Our central nervous system consists of the brain and the spinal cord which as the word suggests is inside the spine. Therefore, normal function of these nerves may be disturbed by misalignment of the vertebrae (also known as subluxation) in our spine. Below shows each vertebra and related parts as well as possible symptoms from subluxation. As the diagram above demonstrates, it can be said that problems with structure and nervous system co exist in many patients suffering from chronic conditions. Therefore, stabilization of the nervous system cannot be permanent unless the structural problem is resolved. Before proceeding to understand the importance of TMJ and how it impacts body structure, it is useful to comprehend the role of TMJ and the following key components which Dr Lee refers to as 3 balance points in our body. 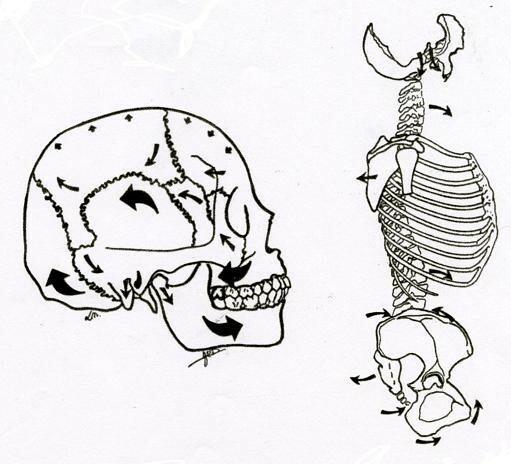 Expansion and contraction of the cranial bones and the meninges surrounding them. Pressure changes in the cerebrospinal fluid system, which moves back and forth within the central nervous system, i.e. from the cranium to sacrum and back. And the cranial motion works together with a contrary motion in the sacrum. Cranial rhythmic impulse is coupled with our diaphragmatic respiration and is vital in proper brain-body communication. The pelvis (or pelvic girdle) is a bilaterally symmetrical structure of bonus (sacrum, os coxa, and coccyx), muscles, and interconnecting tissue. It supports and protects the abdomen as well as several organs in the abdomen. The pelvis provides a foundation for the legs. It also supports the trunk of the body via the sacrum, which is connected to the spine. 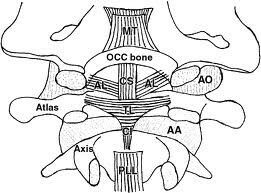 The occipito atlantoaxial joint consists of the occiput, the Atlas (C1) and Axis (C2). In other words: the upper cervical vertebrae connecting with the cranium. In the normal situation, these are neatly stacked on top of one another, in perfect symmetry, allowing unobstructed movement of the head and neck in all directions. Also, in the normal situation, the brain-body communication will function perfectly via the vertebral and carotid arteries, the lymphatic system, the cerebrospinal fluid, the meningeal system and the spinal cord. Especially the second vertebra C2, is a pivotal point since all muscles in head and neck are focused towards it. In a healthy body, cervical, thoracic and lumbar spine are well aligned with two typical curvatures as can seen from the side, giving the spine an S-shape. The correct structure allows for flexible movement and optimal support of the entire upper body, as well as maximum shock absorption power. 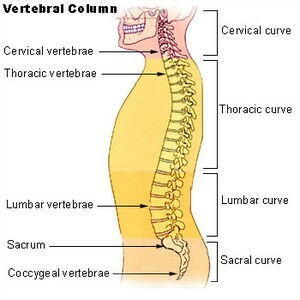 Another very important function of the spine is protection of the spinal cord and spinal nerves. The mandible is aligned in all directions. i.e., there is no shift in the horizontal plane, and no shift in vertical direction. The disk in the TMJ is in place and has not been deformed, thus allowing optimal function of the nerves, arteries and veins passing at the joint. When the mandible opens and closes, the TMJ disk stays in place, allowing smooth motion, without the ball and socket of the joint touching, so that there are no clicking and/or grinding sounds. TMJ is part of the masticatory system and is responsible for the following three functions: 1) mastication (chewing), phagia (swallowing) and speech. The masticatory system generally includes teeth, periodontal ligament, lips and tongue, cheeks, palate, TMJ and other related tissues. TMJ is a joint which works 24 hours a day. Even during sleep, TMJ is the only joint which is in motion constantly. Therefore, the continuous movement of TMJ is not just a simple exercise but is necessary in maintaining life. It can be said that body organs which work persistently even during sleep are brain, heart, lungs and TMJ. Other organs such as trachea (airway), joints, spine and muscles all rest during sleep and there is a distinctive reason for why the four organs (brain, heart, lungs and TMJ) have to work throughout day and night. Firstly, the heart has to pump without a break to supply blood to the rest of the body which is essential in sustaining life. The lungs also are required to move consistently to maintain breathing. If the lungs stop and prevent breathing, the brain also stops functioning within minutes. The brain has to keep vigilant of the functions of the rest of the body even while we sleep. So what is the reason for consistent movement of TMJ? During sleep, we swallow every minute (on average). Even though we are sleeping, the molar teeth on the upper and lower mandible are in contact every time we swallow which creates around 3.5 lb worth of biting force. This biting force is transported to the core part of the brain and supplies energy allowing normal function of the brain. Also, it is assumed that the force creates motility to sphenoid bone (located at the bottom of the brain) which is connected to the lower mandible and allows circulation of cerebrospinal fluid. The brain respires orderly only when the cerebrospinal fluid flows properly. In different sections of this blog I have uploaded a number of posts with medical resources and articles which relate to FCST but I anticipate that some readers may be left feeling confused and possibly sceptical. When I first started the treatment I was also doubtful whether people with ‘incurable’ diseases could be fully cured by this simple process. Perhaps many of us are subdued by the existing medical system which convinces us to think that many diseases are far too complex to comprehend and therefore treatments must also be difficult. As a former patient who has been through the treatment process first hand, here is my view on FCST. A proper body posture allows normal function of the brain, nerves, hormones, organs, blood circulation, etc which in turn maintains a healthy state. If for whatever reason, there is a distortion or imbalance in the structure, it affects our body one way or another and we generally refer to it as a ‘disease’ or an ‘illness’. Unfortunately, despite thousands of years of history of medicine, many physicians today tend to focus on treating the diseases/illnesses without necessarily knowing the root cause. We typically call the ones that are difficult to treat or have not found a cure for ‘intractable’ or ‘incurable’ disease. At FCST clinic, they distinguish approximately 200 symptoms that may arise from distorted body structure and many of those symptoms relate to certain ‘diseases’. Ultimately, what this means is when we have a structural problem it can cause upto 200 symptoms, some of which we have given different names to as ‘diseases’ e.g. Dystonia. When I was asked to identify symptoms that were affecting me, I ticked as many as 68. By the time I had my last treatment, the majority had disappeared and only a few remain which do not have an impact on normal life. 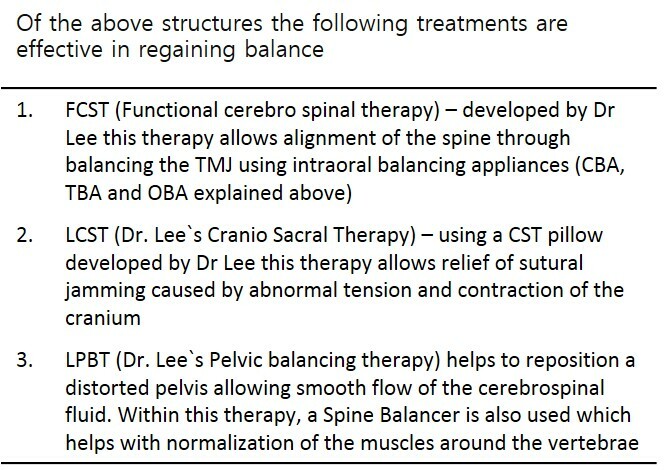 As an illustration, I would describe this method of treatment as a ‘T’ balancing arrangement. Whilst the TMJ is perfectly balanced (being the horizontal line of the letter T) the C1 and C2 can be properly realigned allowing the rest of the spine to find its correct place (being the vertical line of the letter T). Therefore, the main aim and technique of FCST consists of the ‘T’ balancing I referred to and it is combined with other sub therapies to help the body find the correct posture, improve physical health by exercising, train the mind to think positively, all of which eventually lead to a proper regulation of our body systems. Our body is assembled by many bones which are arranged in a structure and they support and work in harmony with other organs. It can be said that the most important ones are temporal and mandible bones as well as the upper cervical vertebrae because they are located very near our ‘control tower’ i.e. the brain. There is no doubt then, that problems with the position of those bones can influence the function of the brain leading to brain and/or nerve related disorders. Not only the brain function and nervous system are affected but also hormonal regulation becomes unstable which in turn can lead to further problems. 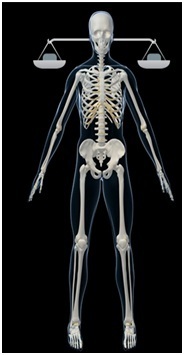 We all know that our bones cannot solely work to support the body. Muscles and nerves innervate allowing the body to control movements and function of internal organs. In other words, everything that our body is made up of is connected. Therefore, it is logical to think that if there is an imbalance in position of our bones, it also means our muscles and nerves are directly affected. Not only that, nerves, spine and other organs are all intricately related meaning that a problem in one can influence another and eventually the problem is recognized as symptoms of a disease. In short, what may appear to be a small distortion in the structure can lead to a variety of symptoms and gradually develop as diseases. Therefore, Dr Lee, the founder of FCST, refers to this situation a ‘butterfly effect’ in his book. 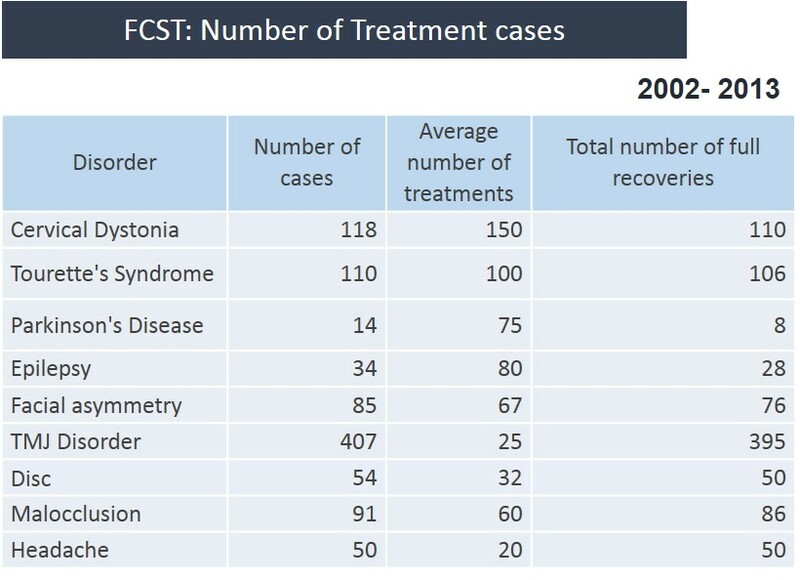 Based on this theory (which forms the core principle of CFM), FCST is a simple method of treatment which can be applied to many patients suffering from different diseases. Consequently, FCST can be viewed as a new paradigm of treatment, hinged upon the basic mechanism of our body which effectively cures different kinds of, what we call, ‘diseases’. First thing you notice when you enter the treatment room is the half a dozen chairs lined up where patients are expected to sit in military position while wearing a TMJ balancing device and wait for their turn to receive Dr Lee’s therapy. It is probably a scene like no other and might even look ridiculous for first timers (experienced this myself). However, if you consider the flip side of the coin; you are not in a room with lancets (surgical knives), masked surgeons and nurses or in a place where the smell of medical substances dominates. Instead, you are in a cosy room with few other patients who are experiencing similar symptoms to you but who also have different and interesting life stories to share. For me, it is truly amazing that our complex body can be so simple to understand. Throughout history, humans have been guilty of convoluting uncomplicated facts often leading the majority to be oblivious to the obvious. Perhaps, this is the case for modern medicine. Some may criticize and say there is lack of scientific (visible?) evidence as the saying goes “seeing is believing”. However, I believe that hearing patient experiences and seeing the changes that they go through are more powerful and significant proof. This is because around TMJ there are 9 cranial nerves and they are directly and indirectly related to 136 muscles connected to cervical vertebrae and the rest of the spine. Especially the 5th cranial nerves which are mostly dispersed around TMJ control the Atlas and Axis (C1 and C2). Therefore, when abnormal signals are sent through the nerves around TMJ, the related muscles, ligaments and fascias over tense and contract which essentially causes subluxation of upper cervical vertebrae. Subluxation of the Axis causes various problems in the brain and other parts in our body. In particular, it triggers distortion and tension in the spinal cord and also restricts the foramen magnum passage. It also leads to abnormal signals being sent through to the brain stem connected to the spinal cord. I believe that the abnormal signals sent to nerve cells create damage and lead to chronic disorders (of course this is my view). Therefore, in my opinion, Dystonia is one of the disorders caused by damaged nerve cells. For these reasons, I think the fundamental treatment is one that intercepts the abnormal signals sent through the nerves dispersed around TMJ. In order to do this, it is necessary to balance the TMJ. 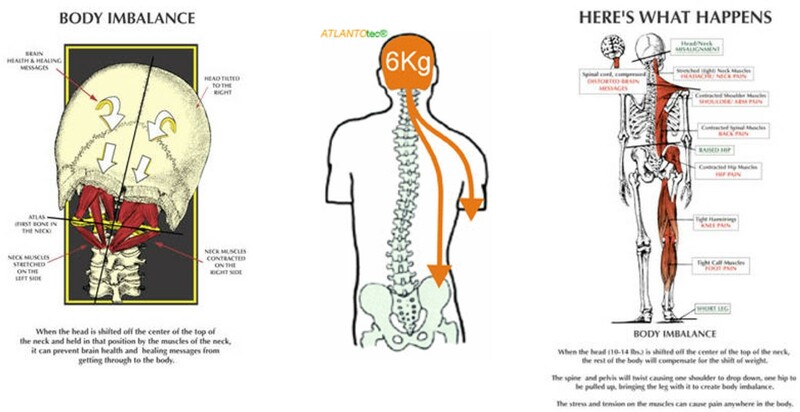 This allows alignment of Atlas and Axis leading to recovery of the channel from the brain to the body and restores the damaged nerve cells in the brain stem. Therefore, to treat Dystonia, alignment of axis is vital and in order to achieve that the abnormal signals sent through the TMJ need to be eliminated. There are two major impacts of abnormal signals: 1. It travels through the sphenoid bone which is connected to the lower mandible and directly effects the sensors in the brain stem 2. Due to subluxation of the axis (C2) there are indirect effects on the brain stem. It might also be useful to read My view on FCST. Of the 4 elements, one that a doctor can help treat is the structure of spine and nervous system. The rest are self treatments which patients can achieve without a doctor’s help. Maintaining a positive mind can help relieve stress and anxiety and allows dispersion of healing hormones (also known as endorphins). A regular exercise and daily routine involved around nature can help train the mind. Vegetarian and brown rice diet and avoiding precooked food can also help strengthen the mindset. These efforts are very effective in maintaining a healthy body. In order to regain a healthy structure, the abnormal signals sent through the nerves around TMJ need to be eliminated. To achieve this, a balancing appliance is required. There are different balancing appliances that are used: 1. CBA (Cervical balancing appliance) – a custom made TMJ intraoral balancing appliance which align the TMJ, cervical vertebrae and nervous system 2. TBA (TMJ Balancing appliance) and OBA (Occlusion Balancing appliance) which maintain the balance of TMJ . The most effective treatment is if both medical treatment and self treatments are combined. However, one may still experience effective results by putting effort in the self treatments. When a person thinks positively the pituitary gland disperses endorphins which are effective in releasing energy that eases healing of the body and pain relief. However, when a person has negative thoughts dispersion of noradrenalin (which is described as a stress hormone) occurs. An effective way to maintain a positive mind is to be grateful, think of loved ones and be repentant. Maintaining a good posture helps to align the spine and normalize the foramen magnum passage allowing stabilization of the nervous system. A collapsed spinal structure can cause distortion of the foramen magnum passage. The 4 stretching exercises are effective in realignment of the spine. The effects are greater if the intraoral balancing appliance (TBA or OBA) is worn while carrying out these exercises. They are demonstrated in the video linked below. A regular and good diet helps to maintain a healthy body. It is important to eat small proportions in the evening and diet focused on vegetables and brown rice helps to get rid of body wastes out of the system. It also prevents obesity and chronic diseases caused by unhealthy food.